Soar above sunny Orlando in the experience of a lifetime! 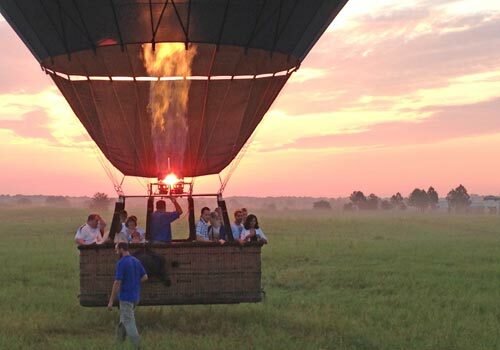 Hop aboard a hot air balloon and get ready for an unparalleled adventure. Way above Orlando, you’ll be able to see all of the popular attractions, orange groves, forests, and more over the course of an hour flight. Be sure to bring your camera to remember this one-of-a-kind moment forever. Fly over Florida nature preserves and attractions in the Disney area. Enjoy the added touch of an included champagne toast. Marvel at spectacular sunrise views. Pregnant women and children under 4 not permitted. Bring a camera to capture the memories. 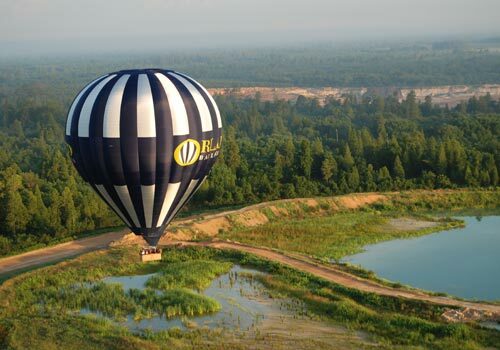 Experience the Adventure of a Lifetime with Orlando’s largest hot air balloon company. 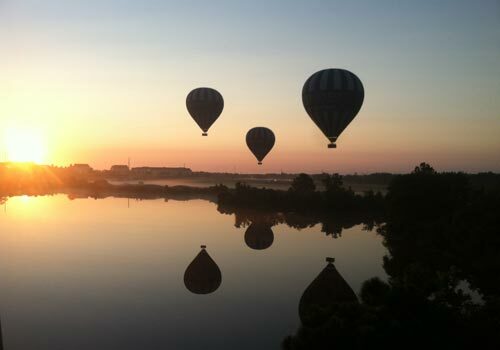 Orlando Balloon Rides has been sharing the magic of the world’s oldest and safest form of flight since 1983. Your one hour flight will be filled with varying breathtaking sights of the Orlando area. During the flight, your pilot will point out views including Florida’s natural preserves, beautiful resorts and eye catching attractions. After landing a traditional champagne toast is held to celebrate our wonderful adventure. 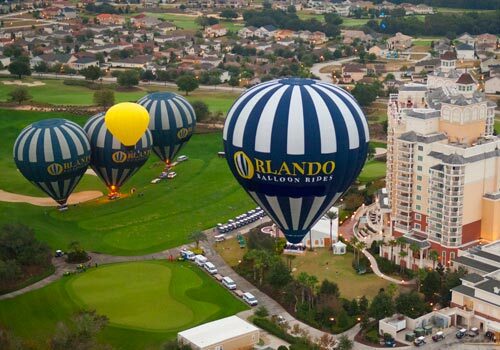 Orlando Balloon Ride is great for all occasions from birthdays to anniversaries but our experience is also perfect for team building, family reunions and large groups. Most importantly we are fully licensed and insured, our pilots are FAA certified, highly experienced and are full time professional. 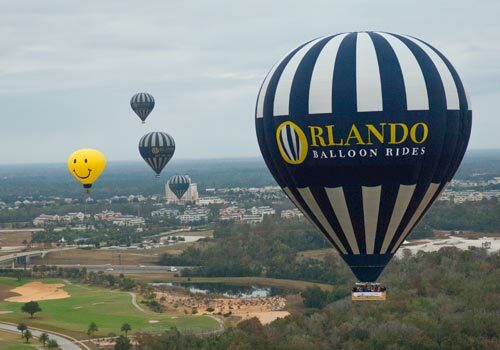 Orlando Balloon Rides is the Premier Balloon Company in Central Florida and is the largest passenger ride operator in the USA. We fly thousands of people a year in balloons specifically designed and engineered for passenger comfort. 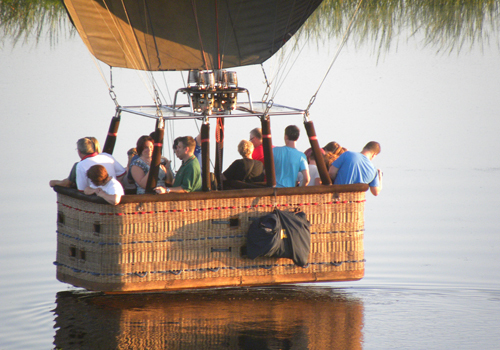 We have recently added America’s Largest Hot Air Balloon to our current fleet of three 16- passenger balloons. This new balloon towers more than 11 stories high (112 feet tall), carries 24 passengers and is filled with nearly a half-million cubic feet of hot air. Come for A MAGICAL experience, fulfill your dreams and check-off your BUCKET LIST! Passengers must be in good physical condition. All passengers must be able to climb in and out of the basket, stand for the entire flight and walk out of the field if necessary. Passengers who has recent surgery, injuries, hip, back or knee problems, health concerns, physical limitations, is/or maybe pregnant or has sever auditory restrictions may not fly. Children must be a minimum of 6 years of age and any passenger under the age of 17 must be accompanied by an adult. MAXIMUM individual passenger weight is 280 pounds /127 kilograms/20 stone. After purchase, do I need to set-up a reservation date? Yes, after purchase, you will need to call the phone number listed on your E-ticket voucher to set-up a flight date/time. Where do the flights take place? Our flights are in the Disney area. They can take place anywhere from Disney to Highway 192 and Highway 27 depending on wind direction. We meet approximately one hour before sunrise. This can be anywhere from 5:30 am to 6:30 am at the intersection of Interstate 4 and Highway 27. From Interstate 4 take Highway 27 (Exit 55) and go north. Stay in the left lane and take the very first left turn towards McDonalds and Wendy’s. Our location is on the right hand side just past these restaurants. Are there any restrictions as to whom can fly? Health restrictions are few and far between. Unfortunately, due to insurance restrictions, we cannot fly pregnant women or children under 4. What type of weather conditions are needed to fly? Hot Air Balloon passenger flights take place in winds less than 10 knots, with no rain or approaching storms in the immediate area. Flights also require visibility of at least 2.5 miles. Dress as if you were going on a hike in the woods. NO OPENED TOED SHOES. We always suggest practical wear, such as long pants, a light jacket, a hat and no sandals or high heels. It is not any cooler in the balloon than it is on the ground, so we suggest dressing for that particular day’s weather. What can I bring along? Feel free to bring along a camera and binoculars to record this once in a lifetime experience. We recommend also bringing extra batteries and a protective camera case. How high do we go? Though the altitude record for hot air ballooning is 90,000 feet, the height of passenger flights ranges anywhere from treetops up to 2,500 feet. How fast do we fly? The balloon travels the same speed as the wind. An average flight is approximately 7 miles in length. Can anyone fly the balloon? No. To fly a hot air balloon you must be a licensed balloon pilot. Much like a fixed wing pilot, balloon pilots go through extensive training including ground school, written exams, and hands-on flying. Will I be affected if I suffer from motion sickness? No. As the balloon moves with the wind, there is none of this sensation. A balloon flight is so calm, it is possible to set a glass of water on a table in a balloon and not spill a drop. Most flights are about an hour. However, they can be as short as 45 minutes or as long as 1 hour and 45 minutes. It just depends on weather conditions and landing sites. What can cause the cancellation of a flight? As safety of the passengers, crew, and equipment is of utmost priority, flights will sometimes have to be canceled. Various factors can cause cancellation such as weather conditions, equipment malfunction or pilot injury or illness. Your safety is our concern and we will not fly if this is jeopardized. If your flight is canceled, simply reschedule for another flight.